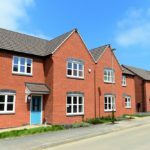 Bellway has reported rising demand for homes in the East Midlands as the region was named as one of the company’s key growth areas. Announcing its half-year results at the end of March, Bellway revealed its East Midlands division sold more than 350 homes between August 2018 and the end of January. Bellway was recently announced as a HBF Five Star Builder, which demonstrates that more than 90 per cent of its customers would recommend the builder. Bellway East Midlands, which is based at Leicester’s Meridian Business Park, is currently selling homes across Leicestershire, Derbyshire, Nottinghamshire, Staffordshire and Warwickshire. Bellway sold more than 10,000 homes in 2017/18 and the company says that the figure is set to rise this year.